Last minute get away? 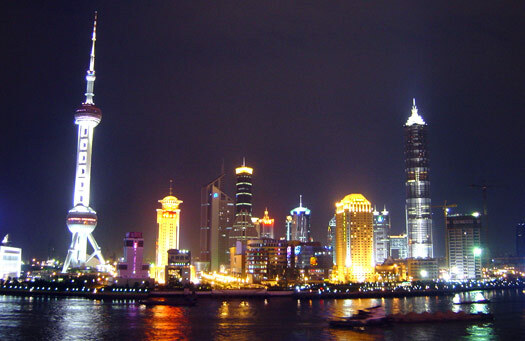 How about going from San Francisco to Shanghai China for only $598! 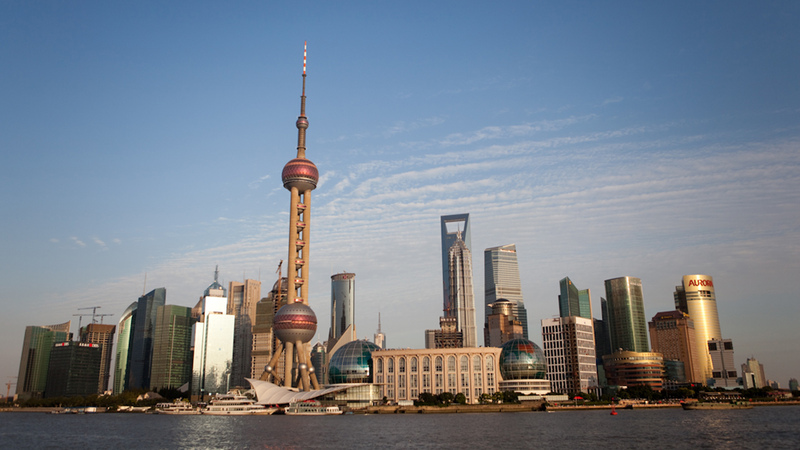 Go to Shanghai for less than the price of a domestic roundtrip from SFO-NYC. Go during Chinese New Years to see lots of cultural sites and fireworks (they were invented in China! 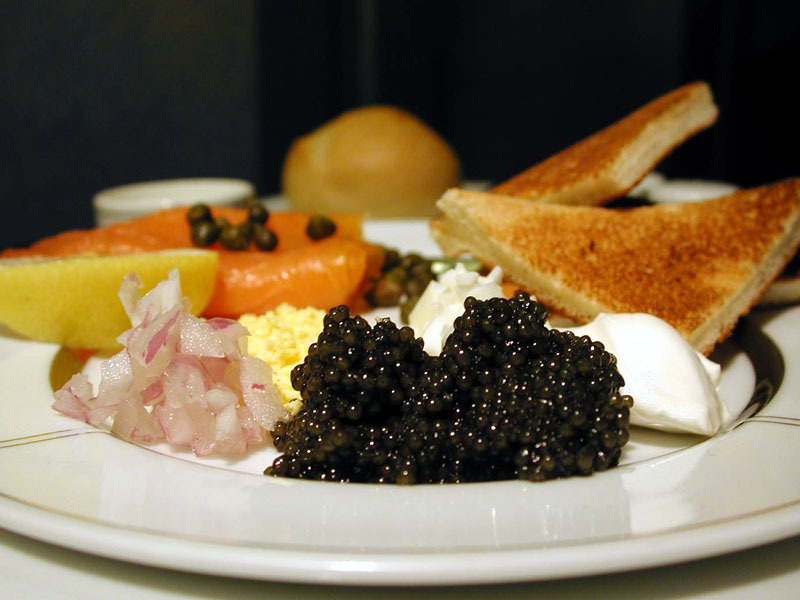 ), party and eat great food. How? Be flexible and leave soon. 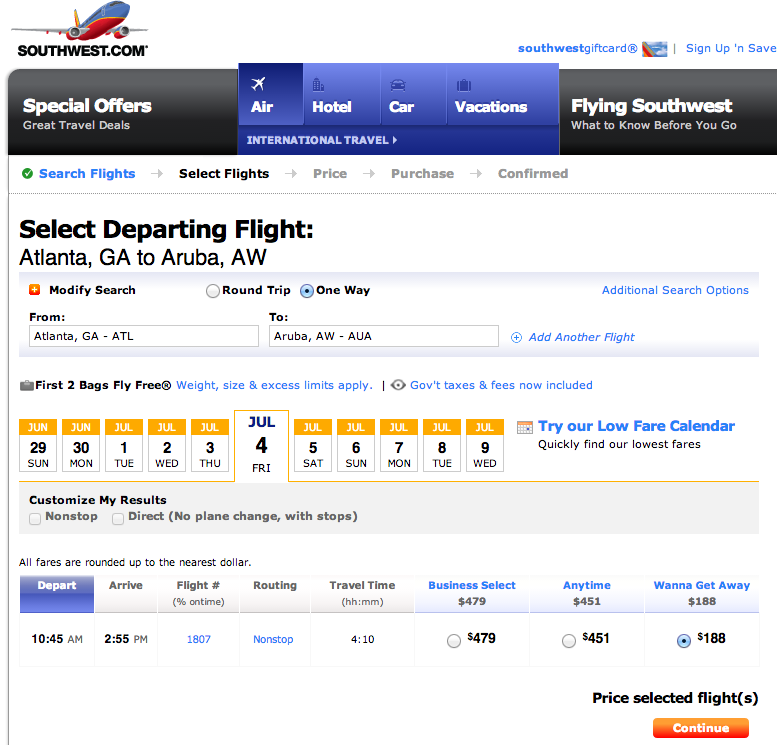 Use Orbtiz (help support us by using our link) to book your flight on American Airlines. Our Holiday vacation itinerary went through several iterations. Airports in CAPS are destinations. lower case are layovers. Then my company announced our holiday schedule so it changed to SFO-las-BNA-las-SFO. Christmas in California followed by OAK-mdw-atl-SJU-atl-mdw-OAK. Then I thought about all the time we’d spend flying back and forth and wanted to maximize fun time and minimize transportation time. After overcoming the guilt of not spending Christmas with the rest of my family, plans changed to OAK-LAS-BNA-mco-SJU-bwi-mdw-OAK. I had been suggesting to the hubby that we try to take a day trip to the Dominican Republic for weeks so he surprised me and added St. Croix (Unite Sates Virgin Islands) to the itinerary. So our final plans were OAK-LAS-BNA-mco-SJU-STX-SJU-bwi-mdw-OAK. Southwest’s flexibility gave us the opportunity to take one of our longer and more random trips but packing everything for a 10 day trip covering temperatures from 15-85, fine dining, work and nature adventuring, in a carry-on and backpack isn’t easy. Whenever we take longer trips, I bring at least one piece of clothing that I plan on leaving behind. It lets me add variety to my wardrobe and still have room for souvenirs. This time it was a bulky sweater that stayed in Nashville. I also pick a color or theme so I can easily mix and match clothing. For Vegas and Nashville the dominant color was brown. For the Caribbean, I took inspiration from a pair of earrings and wore yellows and blues. We left work a little early on a Friday to avoid traffic to OAK. It took 35 min to drive the seven blocks from my office to the bridge. We got to the airport on time for our flight which had been delayed. 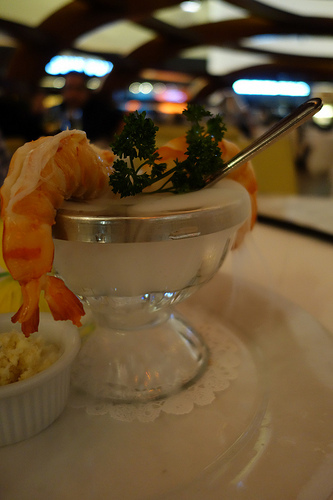 We barely made it to dinner at Mastros. Even though they close at 11, they had noticed that we keep moving our reservation back and figured we were delayed and welcomed us in at 10:45PM. On the plus side for us, it was like private dining. After dinner we browsed the Christmas decorations in Crystals, Aria and the Bellagio conservatory garden before we were off to bed. Our 7AM flight out of Vegas was just hours away. 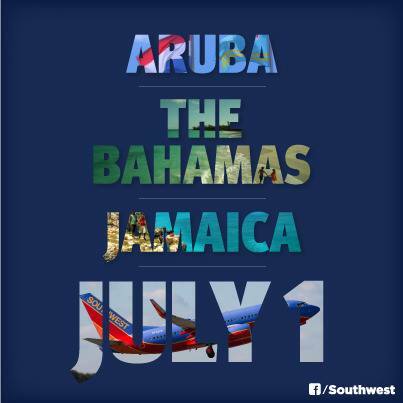 Southwest Airlines is primarily known as a low-cost carrier in the United States. With its one class (all economy) seating, line-up boarding process and bags fly free policies it is often overlooked by travelers who are trying to get elite status. However, Southwest has one of the best, and relatively unknown, frequent flier programs in the industry… the Companion Pass. What is it the Companion Pass? The Southwest Companion Pass (http://www.southwest.com/rapidrewards/tiers-more-companion-pass) allows you to designate a companion who can fly for FREE whenever you fly. You can designate anyone! Your spouse, child, friend, co-worker or yourself (you’ll get a sign to place on the seat next to you and reserve the seat). When this package comes in the mail it’s time to travel !!! How do I get the Companion Pass? There are only two ways to qualify for the Companion Pass: 1) Earn 110,000 Companion Pass Qualifying points or 2) Fly 100 one-way flights in a calendar year on Southwest. How long is a Companion Pass good for? The year you qualify for it and the entire following calendar year. You heard that right! It is good for the rest of the year you earn it in and the ENTIRE NEXT YEAR. This means the earlier you earn the companion pass in the year, the better. If you earn it on November 15, 2014 its good until December 31, 2015 (12.5 months). But, if you earn it on February 15, 2014 its still good until December 31, 2015 (20.5 months). How do I use my Companion Pass? 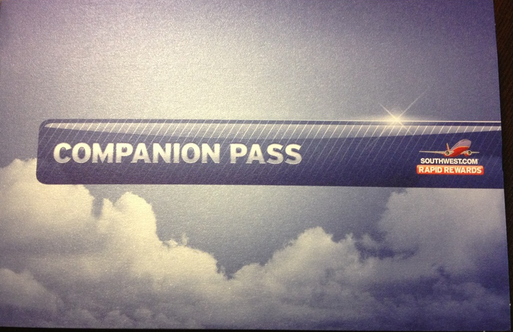 Once you have qualified for the companion pass it’s super easy to use. You can designate a companion online at: https://www.southwest.com/flight/login?returnUrl=/account/rapidrewards/companion-status or you can call Southwest. Once you have done this you can immediately start booking flights with your companion. You first book your own flight (with money or points) and then you can either click on “Add a Companion” to book a flight for your companion (you only pay the government required security fees of usually $2.50 per segment) or call Southwest to book it for your companion. It is important to note that the primary companion pass holder must be present for the companion to fly. If you book a flight using your companion pass, but are not on the same flight Southwest will remove your companion from the flight and may revoke your pass (and may ban you from flying with them in the future). Your companion does not earn any Rapid Reward points when you book them using your companion pass since they are flying for free. Crazy Tip? The Southwest Companion Pass even works on award flights. So if you book a flight with points your companion still flies for FREE. This means that not only does it cut your flying costs in half, it also doubles your fun when you are booking reward flights. SFO to Shanghai China for only $632 Roundtrip! Want to spend Chinese New Year in China? United has a great fare sale from San Francisco (SFO) to Shanghai, China (PVG) for as low as $632. It is a direct, non-stop flight that lasts around 13 hours. Must leave before January 31th, 2014. Use ITA Matrix (Link here) to check lowest prices and book your flight directly from United. Lowest price of $632 available for January 29 – February 7th. This fare includes approximately 12,292 miles.